CASPER, Wyo. 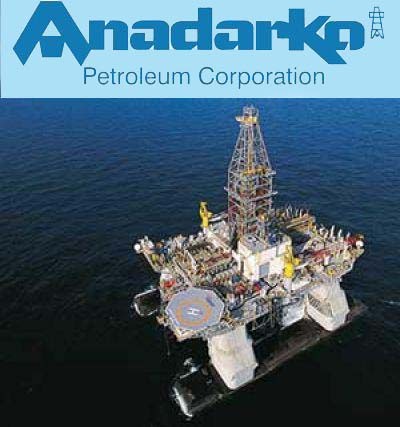 — A Nigerian oil company is claiming Anadarko Petroleum Corp. schemed to take away its right to explore and drill for oil in waters off West Africa. Oronto Petroleum Corp. of Nigeria filed a complaint against Texas-based Anadarko in U.S. District Court in Wyoming on April 14, claiming Anadarko worked with a Spanish energy company to cut a deal with the Sierra Leone government that would take part of a particularly lucrative offshore area away from Oronto. That portion of the offshore area contains "potentially billions of barrels of oil and gas" as indicated by seismic testing, according to Oronto's complaint. Oronto signed a 30-year contract with the government for the offshore area, or block, in 2003. Oronto claims Anadarko interfered with Oronto's contract and business relationships and engaged in a civil conspiracy with Repsol, the Spain-based energy company, to take part of Oronto's block away from it. Repsol owns a block adjacent to the one owned by Oronto. In 2008 Anadarko and Repsol negotiated a deal in which Anadarko gained substantial interest in Repsol's block, Oronto claims. That same year, Repsol proposed conveying a interest in its block to Sierra Leone National Oil Company in return for the government redrawing Oronto's block, a deal in which Repsol was representing itself and Anadarko, Oronto stated in its complaint. Sierra Leone's government has since published maps showing that the portion from Oronto's block has been added to Anadarko's and Repsol's block, according to Oronto. Oronto and Sierra Leone are currently in arbitration proceedings before the International Chamber of Commerce Court of Arbitration in London. An evidentiary hearing there is set for Dec. 5. Anadarko has publicly expressed interest in the disputed portion of Oronto's block, which has hindered Oronto's ability to market and develop the block, the Nigerian firm said in its complaint. Sierra Leone began a push to develop its offshore oil fields in 2001 and conducted initial testing on seven offshore blocks. Oronto bid on two of seven blocks offered by the Sierra Leone government and was granted what several bidders considered the most desirable block. Oronto and Repsol, which signed a deal with the government for a block adjoining Oronto's, held talks to discuss possible cooperation, but the talks failed, Oronto claims. Repsol then began a "scheme to undermine and interfere" with Oronto's contractual rights to its offshore block, Oronto stated in its complaint.